I got it in the shade Light (10). The girl at the counter suggested me this shade according to my skin tone. 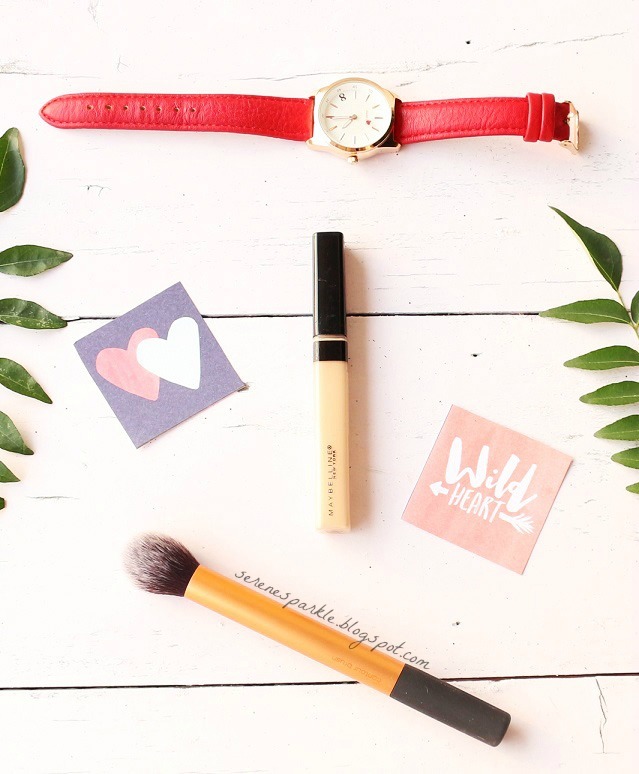 At first, I thought it's just a little bit light for my complexion but once I blended it really well with a brush, there wasn't any unevenness in my skin tone. 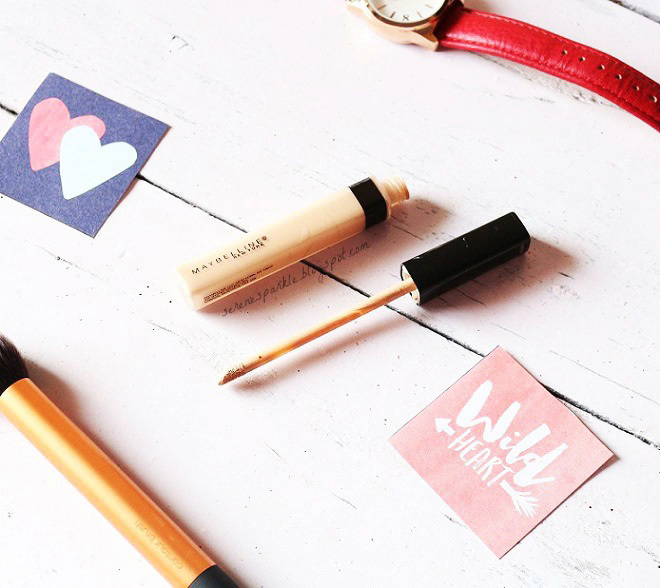 The texture of the concealer is neither too thick nor too light and is easy to apply with a wand applicator, pigmentation wise it's not very thick, hence it gives light to medium coverage. It has peachy pink undertones. Now that it's November, my skin isn't oily and the concealer lasts for good 7-8 hours on me. There is minimal creasing and it doesn't look cakey or patchy on skin at all if you blend it well. 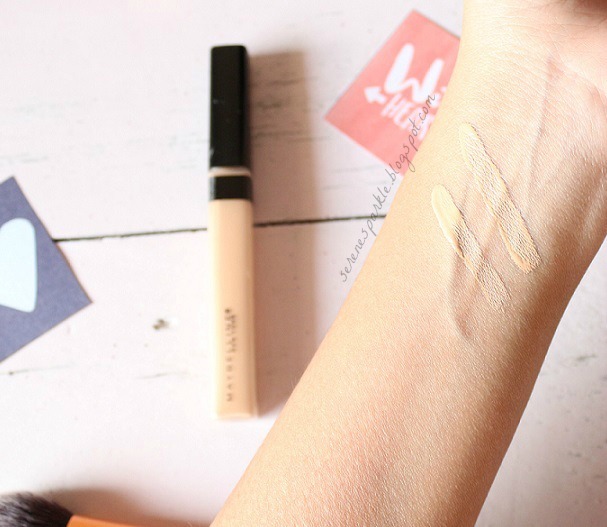 Maybelline launched three shades of fit me concealer in India and since I wear the lightest shade in the range, the concealer also tends to brighten my under eye area. I think it's a very good everyday concealer. Natural looking, lightweight and easy to blend. Recommended ! Nice detailed review. Aditi :) I am planning to buy this one, but only three shades :(let's see which shade works for me! Excellent formula..what is the price dear? i have this and completely agree with your review! 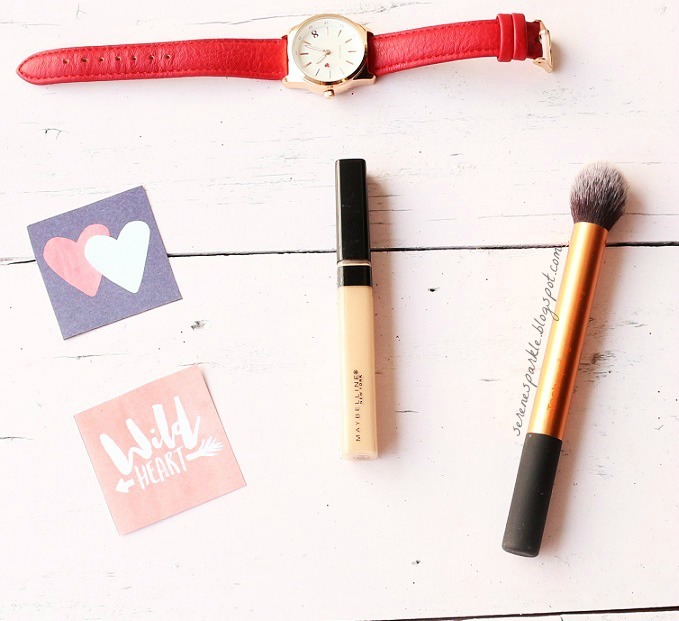 its a fantastic concealer! I love Maybelline Fit me concealer.. the only issue I see is that the shade range is very bad in India. I love this concealer. nice and detailed review. You have clicked awesome pics. Like a professional photographer! The shade seems very natural. I like it. That's a really good match for your skin. Blends so beautifully. Nice review Aditi :) I haven't tried this one yet. Have this and love it! Love the pictures!! This is my favorite drugstore concealer. I have it in two shades I love it so much. Great review!